Craft a Scene: December Winners! 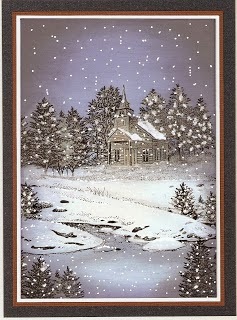 Hello everyone, I have our "Winter Scene" winner and our top 3 for December. We had 37 blog entries with five wonderful Tri-Shutter cards. Thank you to everyone who entered and especially to those who attempted the Tri-Shutter style. I always use Random.org first to find the winner of our prize so that I don't also call them a Top 3 winner. This time Random chose 16. Nikki C .
Reach out to me Nikki with your mailing address and I will send out your stamp. When we review all the great entries each month for the Top 3 we are looking for finished projects (cards, bookmarks, framed art, etc), and scenes that are stamped or digi'd with all the scenic elements mentioned in our rules. They were all really great this month (they usually are) and I am trying not to pick the same ones each month too. 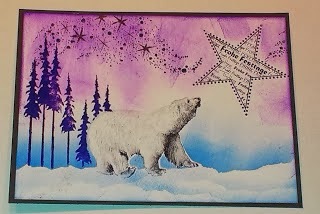 I love this challenge and so thrilled to have my creation picked among the Top 3! Thanks so much!